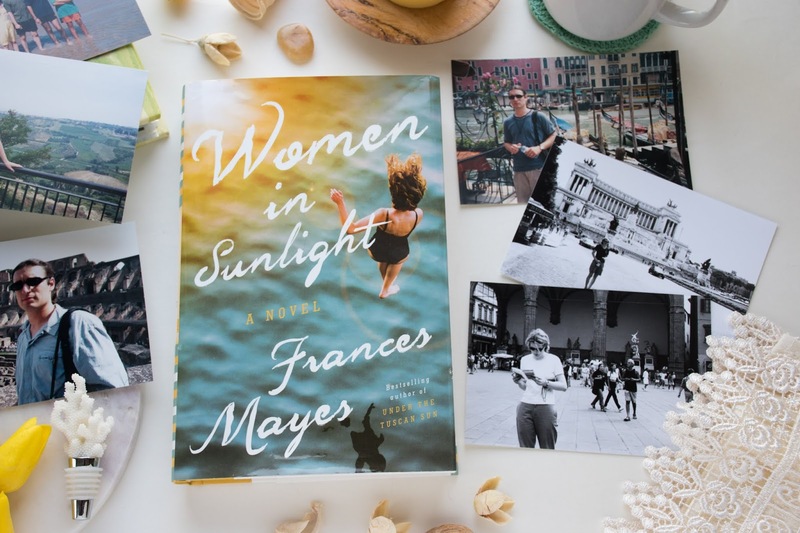 I was drawn to Women in Sunlight: A Novel for a few reasons. For one, sunlight. We didn't have much of that over (a very long) winter and the more sunlight in my life right now, the better. Even if I'm reading about it. 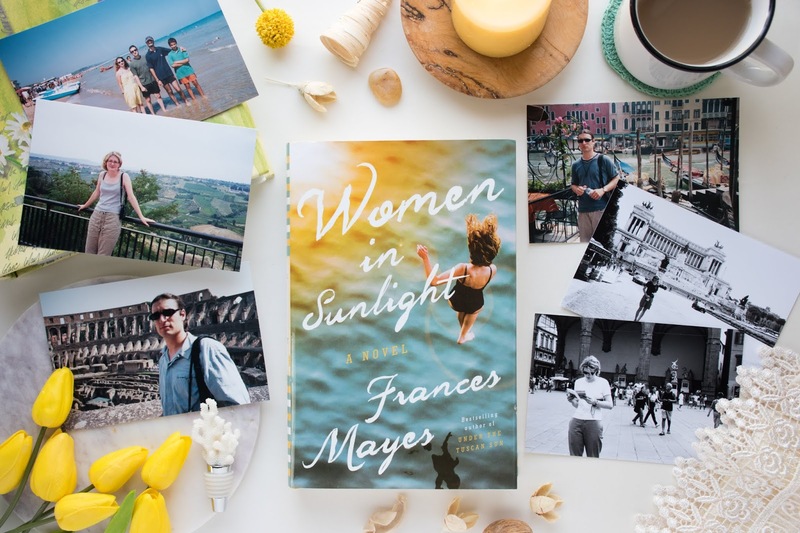 Two, the novel's author is Frances Mayes, who wrote the bestselling memoir Under the Tuscan Sun: At Home in Italy , which I actually haven't read. But I've watched the movie Under the Tuscan Sun , featuring the lovely Diane Lane, several times. Because Tuscany. Italy is my third reason for reading Women in Sunlight. The story sees three American women at crossroads in their lives, deciding between a comfy but potentially boring retirement community for seniors and adventure in Italy. Spoiler alert: they choose Italy. Their stories parallel and intertwine with the story of poet/author Kit Raine, another American who has made her home in Italy. Kit shares her story in the first person while the third-person narrative takes us through the other three women's adventures. I had some trouble keeping track of all the characters at first (I eventually gave up on remembering the Italian neighbours and new friends) and I kept reminding myself Camille was an art teacher, Susan was a real estate agent, Julia was a cookbook editor. As it turns out, the women are able to translate their previous careers and passions neatly into new pursuits in Italy. Plus they eat out, travel and enjoy meals with new friends, very frequently! 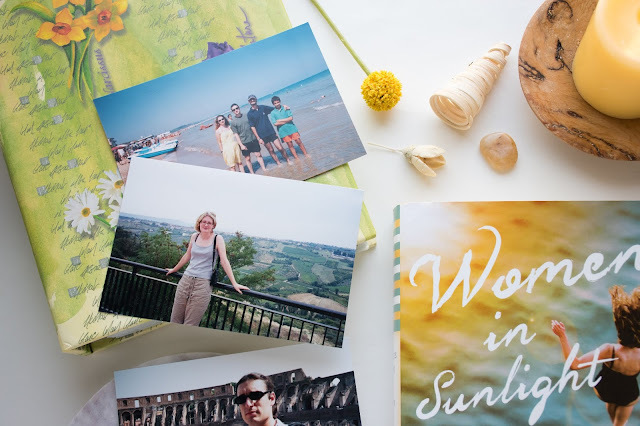 Women in Sunlight explores all that you would imagine Italy to be - food (of course), family, friendship, sun and fun. On top of that, it examines aging, newfound independence, female friendship and how we see our retirement years. Basically instead of hunkering down at home and waiting to die, we can choose new experiences, just like we did when we were young. It gives you a kind of hopeful feeling. I spent my honeymoon in Italy almost 19 years ago, and I've yet to go back. Although I'd much prefer to have the real Italian experience again, the book offers a nice little escape into Tuscany. You can well imagine staying in a villa, touring beautiful gardens and hillsides, visiting beaches, eating loads of pasta and drinking a steady stream of wine. Several times I stopped reading Women in Sunlight to search Airbnb for Tuscan villas, actually. (I found a beautiful old villa with its own pool and I really want to go! Ha.) The novel also brought back some really great memories from our trip (inspiring me to browse our photo albums for the first time in a long time). Things work out too tidily to be realistic (romances included) and the women aren't bogged down by any financial limitations - they seem to buy just about anything they want. It's not where most of us are at, but I suppose it will make for the perfect chick flick down the road. 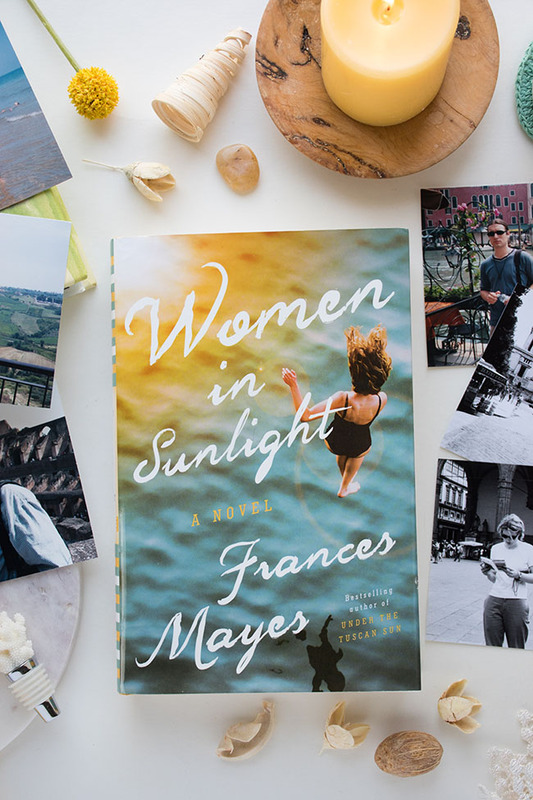 In the meantime, if you're looking for a nice (fairly slow-paced) summer read, Women in Sunlight is a good one. Soak in the sunshine, food and fascination of Italy through this entertaining novel. Have you been to Italy? Do you want to go? Would you be interested in reading this book and "transporting" yourself to Italy? What are you reading now?